Margo D. Warner is an associate attorney with the Rolfe Law Firm, P.A. Ms. Warner focuses on family law and civil matters. Ms. Warner attended the University of Memphis where she graduated with a Bachelor’s degree in Professional Studies. 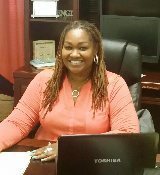 Ms. Warner went on to attend the UALR Bowen School of Law and obtained her Juris Doctorate Degree in 2006. Ms. Warner was admitted to the Arkansas Bar in 2006 and has practiced law in state and bankruptcy courts throughout the State of Arkansas. Ms. Warner has extensive experience in various areas of law and has personally handled many bench trials and appeals throughout the state. During her practice, Ms. Warner has focused on the preservation of families in transition, including divorce, custody, grandparents custody/visitation cases, DHS cases, complex guardianship matters, and writing civil and criminal appellate briefs. Ms. Warner has a genuine love for children and ensuring that they are receiving the best care. To that end, Ms. Warner has dedicated much of her career to protecting children's best interests. Ms. Warner is a fierce advocate for solutions that provide the best for families. PRACTICE AREAS: Divorce, Custody, Orders of Protection, Child Support, Child Visitation, Civil Law Suits, Criminal Defense, Criminal Appeals, DHS Foster Care Cases, Probate, Estate Planning, and Bankruptcy.